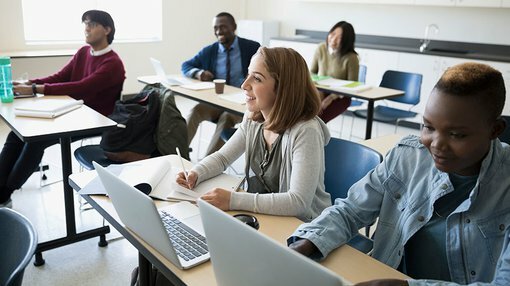 Analysts at Macquarie have responded positively to Monday’s announcement by IDP Education (ASX: IEL) that it had entered into an agreement to acquire Hotcourses, a group that owns and operates a portfolio of education search websites that assist future students in selecting the correct study choices, as well as connecting with universities and colleges around the world. The acquisition of Hotcourses was announced after the market closed on Monday and consequently the share price response has not materialised until today. After opening at $3.76 the group traded as high as $4.14 in morning trading, representing an increase of more than 10%. Macquarie has maintained its outperform recommendation on the stock and sees scope for further share price momentum with its target set at $4.67, implying upside of 15% to this morning’s high. The broker noted that the acquisition was earnings per share accretive to the tune of 5% in fiscal 2018 (pre-amortisation of intangibles). It should be noted, however, that broker projections and price targets are only estimates and may not be met. Also, historical data in terms of earnings performance and/or share trading patterns should not be used as the basis for an investment as they may or may not be replicated. Those considering this stock should seek independent financial advice. From an operational perspective, Macquarie highlighted the fact that Hotcourses’ sites received more than 66 million annual visits from students accessing its database of 500,000 courses from 5000 institutions globally. This traffic is monetised through the sale of leads from interested students and advertising services to universities under a largely subscription-based model. Macquarie expects that the acquisition will provide strategic benefits as it complements IDP’s existing student placement division, as well as accelerating its digital engagement strategies, while building its presence in the UK. IDP reports its interim result on February 9, and Macquarie noted that this is a potential share price catalyst. The broker is forecasting an interim net profit of $22.4 million, representing earnings per share of 9 cents, laying the foundation for a full year net profit of $43.1 million.